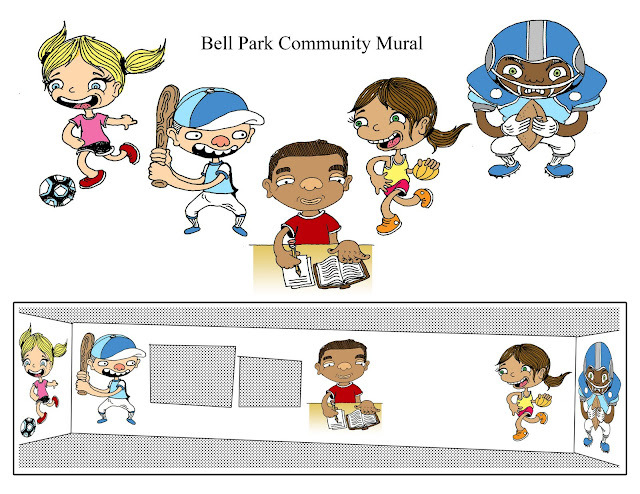 Here is a preview of a mural project that I will be in charge of at Bell Park in Gardena, CA. The painting day will be on Saturday, May 14th. The public is welcome to participate. It will be a paint by numbers sort of deal. I will keep you posted if you are interested in helping.